Dear Friends! If you love children and you remember with what excitement when you were a child you looked forward to presents on holidays and you want every child without parents to get a bit of warmth… In the lead up to New Year and Christmas you can bring happiness to children living in children’s homes and boarding schools and disadvantaged children – with good presents! New Year gatherings are planned from 14 December 2013 through 31 January 2014. And you can become a participant in these events! Last year, thanks to your participation we gave 700 presents. 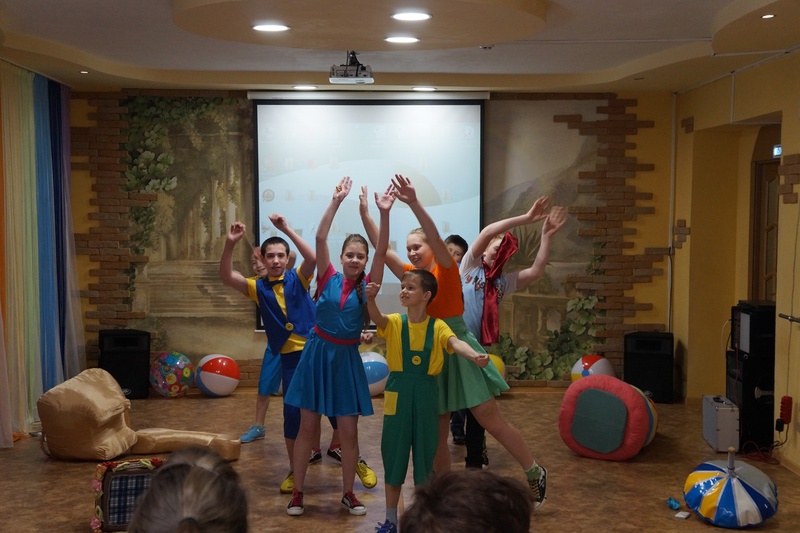 This time too we invite all those interested to give the children a «HAPPINESS BOX». If you would like to, write to us and we will send you the age of the child a present needs to be collected for. 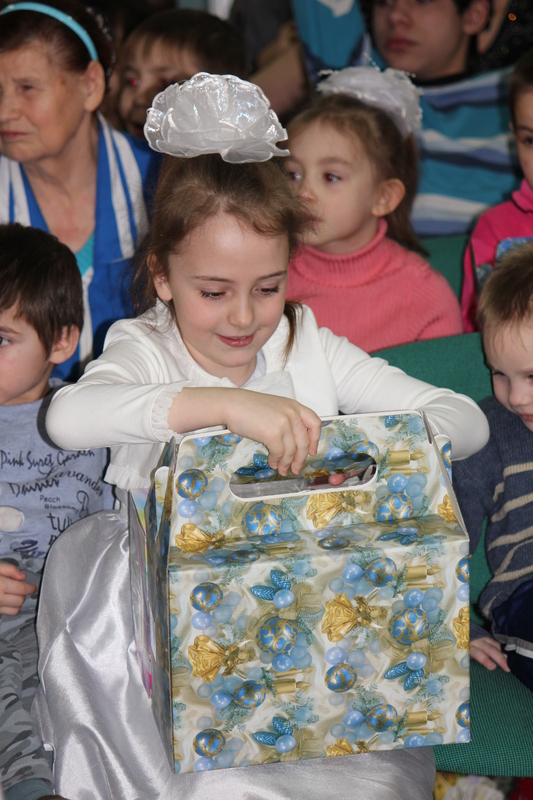 The «HAPPINESS BOX» must be collected and passed on to us no later than 01 December 2013. 1. All objects must suit a box measuring: width 15 cm, length 32 cm, height 24 cm. 2. Pay attention to the expiry date of the goods. 3. Presents must suit the age of the child. 4. All shampoos and shower gels must be secured with adhesive tape (lids, to stop leaks) and wrapped in a separate packet. We understand many of you do not have enough time at your disposal to choose gifts yourself. But if you’re determined to do your part, you can request us to buy the present, entrusting to us a sum of money to that end. A range of presents for boys: shampoo (such as Head & Shoulders, Pantene Pro Vit, or any other in the same category), shower gel (Fa, Old Spice, Axe), deodorant sparays, toothpaste, medium toothbrush, acne rinse, gloves (waterproof), 2 pairs of socks, stationery: a set of coloured pens, 45-page exercise books, x2, a set of markers, confectionery: Milky Way, Kinder samplers (otherwise Snickers, Twix, Bounty, Rafaello), chewing gum, toys (for the younger ones – model car kits, robots (Lego, Brick, Bionickel), for the adolescents – board games (Alias, Activity, Loto, Uno etc), greeting card (with a photo of the giver if you wish). A range of presents for girls: 2-in-1 shampoo (Schauma, Pantene, otherwise other in the same category), shower gel (Fa, Palmolive, otherwise any other in the same category), deodorant, toothpaste, medium toothbrush, body spray (Avon, Oriflamme, Yves Roche etc), 2 pairs of socks, stationery (drawing albums, paints, brushes, markers, pens), cosmetics (mascara, lip gloss, for the younger ones lip salve), confectionery (Milky Way, Kinder, Rafaello samplers), chewing gum, toys (for younger ones – educational, according to the age of the child (Loto, dominoes, Lego, Happy farmer etc), for adolescents – board games (Alias, Activity, Loto, Uno etc), hairpins, rubber bands, a greeting card (with a photo of the giver if you wish). With the utmost respect, ERA of MERCY Regional Non-Governmental Organization for Orphans Support.